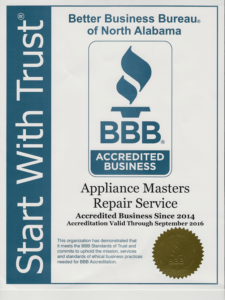 Here at Appliance Masters we are always looking for top notch appliance repair technicians that carry at least 1 year experience in appliance repair and have their sealed systems certification. Our Birmingham location is really growing quickly right now. We are also looking for technicians in the Florence and Cullman areas. We are also taking off in Athens, Decatur, Guntersville, Scottsboro, Madison, Arab, Albertville and Jacksonville. We expect that our company’s daily customers are going to grow significantly in the coming months so we will be needing appliance repair technicians all over North Alabama. 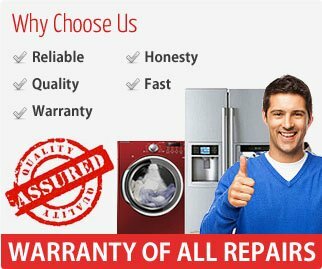 We have become contractors for many different appliance repair warranty companies in the last year and that has really gotten our business to take off. We have added 6 locations over the last 6 months which has also helped to getting us more appliance repair calls. We need appliance repair technicians that are experienced repairing all brands of freezers, refrigerators, washers, dryers, microwave ovens, garbage disposals, dishwashers, range hoods, ranges & ovens. If you feel you have the appliance repair experience that we are looking for, please contact us at the above email with a current resume.